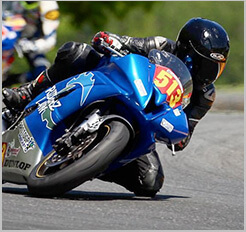 Back protectors are something that I have always wanted to research when it comes to riding gear. While they no doubt help in the event of an accident, what all do they offer? 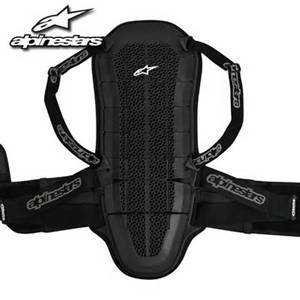 When I bought my Alpinestars Bionic Air Back Protector (pictured below), I had been looking into them for weeks. 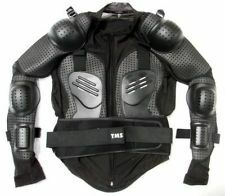 Some jackets include a mini back protector already, but those usually don’t cover the entire spinal cord. Others include kidney belts, chest protection, they wrap around the waist, wrap around the shoulders, are velcro, hook -and -loop, or slip- ons. There are so many choices and ultimately the best one will be the one that is most comfortable for you. If they do not carry them in your local bike shop, order online and spend some extra money on this lifesaver. A lot of sport and cruiser riders just don’t think to wear a spine protector, that's what the jacket is for right? Maybe the bulkiness turns them off, or the price (can be upwards of $200). When you are riding, you still want that wide range of movement and a protector can feel like a piece of plywood lying on your back. You cannot put a price on your back though, as they are one of the worst and most painful types of injuries to endure. Missed time from work, the inability to bend, lift, and perform daily activies all can all be very disruptive to your daily life. Their main job is to protect the rider’s backbone, and to distribute the forces generated in a crash over a wider surface area. Injuries can include dislocating, major fractures, breaking the spine, and in the worst case, paralysis. They have a foam pad underside to add comfort which should fit snugly under or inside a designated pocket in your jacket. The outer side is usually made of a hard, plastic armor, and acts like a turtle’s shell. Overall, in the event of a crash on your backside, you will get the wind knocked out of you, but be able to walk away with some bruises. In your spinal cord, there are 31 pairs of nerves that run to various parts of your body. These nerves communicate with your brain when you want to walk, breathe, or carry out any type of movement. While a broken leg can heal itself with a cast, the spinal cord does not have the ability to repair itself. Injuries to the spine are classified by doctors as either complete, or incomplete. Complete means there is a complete loss of sensation and muscle movement below the level of the injury. Incomplete is when there is some function left below the injury. Both sides of the body are usually affected. A spinal injury is an emergency situation, as inflammation can occur and cause more damage. It is important to keep the back restrained after an accident, this is why paramedics immobilize a victim using a long spine board and collar around the neck. Always buy a protector that is CE certified. Just as helmets need to be DOT certified, anything that protects your back should follow some critical guidelines to make sure that it does the job.